You’ll find the most popular questions and answers here. All work is customized and we are not able to give quotes over the phone. You’ll be asked to book a consultation. Book ConsultationWhat is your hair problem? Why do I have to have a consultation? I just want an estimate. Just as we are not able to do your hair over the phone, we need to see you in person. “One size does not fit all”. Because we specialize in extreme makeovers, and Great Lengths Hair Extensions….there are many, many options that are available, and for this reason(s) the consultation is so very important. NO Prices over phone or through email. We need to meet with you in person, at a consultation. How much will my hair extensions be? Makeovers can take from 5 to 12 hours and/or more than one appointment,to achieve your complete trasformation. Great Lengths Service cost can vary greatly from client to client because each is truly a customized & high-end service. Great Lengths Service cost can vary greatly from client to client because each is truly a custom service. There are also many GL application options to be considered, such as lengthening, full volumizing, zonal volumizing, dimensional color work or special needs applications. For the most accurate answer, based upon the state of your natural hair and desired result, schedule a consultation. How long does my hair have to be to get hair extensions? Minimum hair length for a successful application is 3.5 to 4.5 inches and for a full head application, 4.5 to 6 inches would be preferable. How much is hair extension removal for keratin extensions? $125 per hour when properly taken care of. $150 per hour if The Loft Salon Studio did not do the initial installation. $175 when they are matted and not cared for. A new client consultation is necessary prior to scheduling. 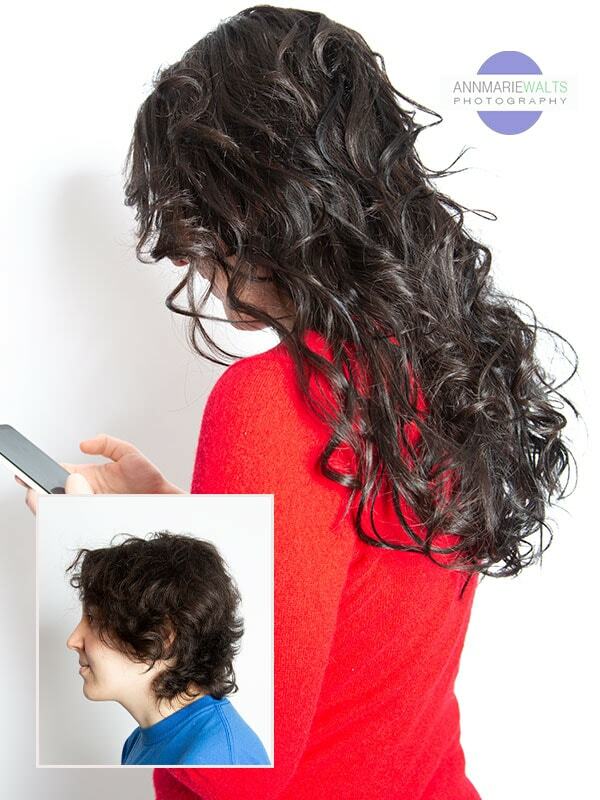 Fusion extensions can last 3 to 5 months. Tape extensions can last 1.5 months per application. *How fast your hair grows will affect the longevity. Your aftercare & care of extensions need to be followed. 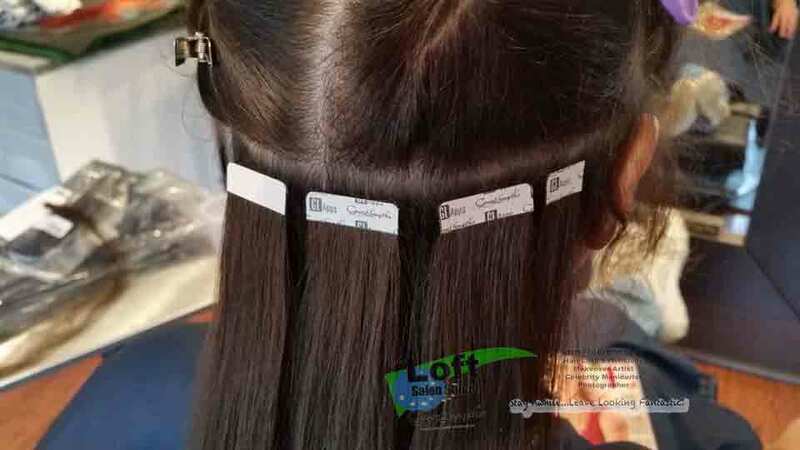 What if I am wearing tape extensions from another salon or a different brand than you carry? A new client consultation will still need to be necessary, however I can only offer maintanence to you for tape extensions when I have provided the work. Great Lengths, HairTalk and Hot Heads are the tape extensions that I have available. Are the extensions real hair? Yes. We will only work with real human hair. We can go over everything at your consultation. Can I bring in my own hair? No. We do not offer our professional services in that manner. We only work with the professional manufacturers that we offer. Hair extensions will not damage your own natural hair when you follow the professional aftercare instructions, and properly take care of them. Hair extensions when properly & professionally applied can be worn safely. Can I style, curl or flat iron my extensions? Yes. Your extensions are 100% real human hair. You need to remember to stay an adequate distance away from your attachment/bond area when using heat. What if I do not like my hair extensions, after I get them? I want a refund. All deposits and monies are non-refundable for our specialty & corrective services; including hair extensions. If within 30 days of our installation, you are find that your extensions are not conducive to your lifestyle then we will offer you a professional removal service at a *reduced rate. Reduced rate will be determined at your removal consultation. Additionally, refusing to allow us the opportunity to assist you does not warrant or entitle you to a refund. Is special care necessary after having my extensions applied? Extensions may be treated as regular hair but long hair always needs special attention. Great Lengths offers quality products and special brushes. Should the extensions be straightened? You can use a hair straightener but the bonds should never come in contact with the tool. In case of dry ends we suggest you use Great Lengths Hairfluid and Great Lengths hair care products that you will find available in all our partner salons. Apple vinegar makes hair shine: can I use it? Great Lengths does not guarantee for these types of treatments. We have a wide range of products for hair care; seek advice in one of our partner Great Lengths salons. Can I run my fingers through my hair? Yes, you should run your fingers through the bonds to keep them separated. How many times should I have my extensions checked? 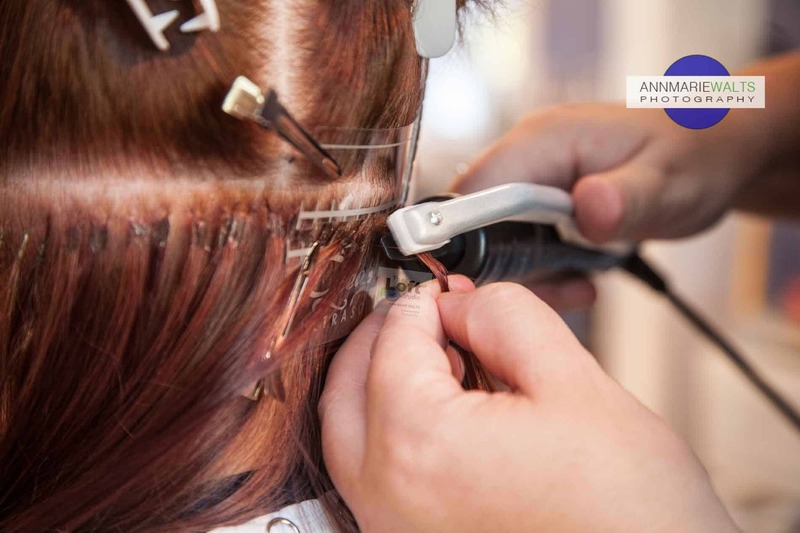 It is necessary to have your extensions checked at least once every month in order for the hair extensionist to cut the natural hairs that have fallen out but are entrapped between the scalp and the bonding avoiding them to tangle. You should use one of Great Lengths shampoos which have been specially developed for use with our extensions. Other shampoos may not maintain the quality of your extensions. How should I care for my hair during shampooing? Use little pressure while shampooing. 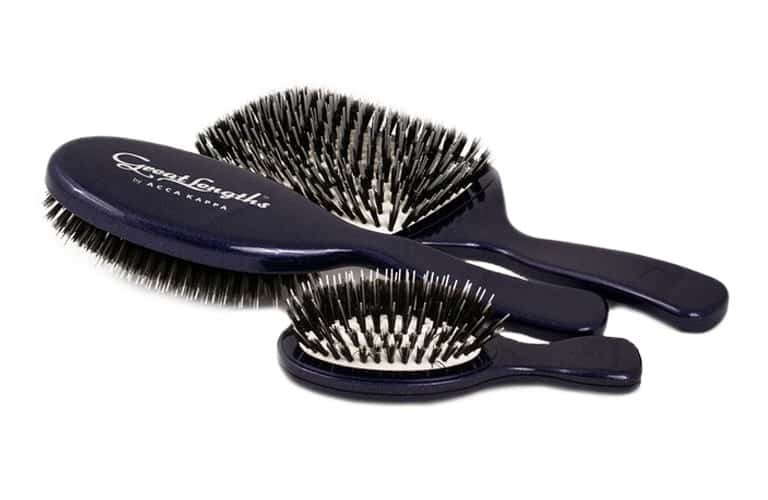 Always brush the strands with a Great Lengths brush and without pulling. Start drying from the roots and then the bonds. Make sure the bonds fully dry. Do I need to be careful while brushing my hair? Yes and this is why Great Lengths has created a special brush. GL Apps by Great Lengths is a double-sided, single tab tape-in extension system. Using the same high end virgin quality hair Great Lengths is known for, GL Apps give you the opportunity to be introduce extension services to a introductory lower application price points and less application time commitment, all without compromising the quality of the hair used or the resiliency of the application. The attachment site is securely sandwiched between fine layers of the client’s natural hair, resulting in the most undetectable attachment of any tape system on the market. GL Apps are a high speed connection application system and as any good app will do, they make getting extensions easier, faster and more accessible. *Your intial installation maybe a “lower” price point, however you will need to to have a “re-tapping” appointment every 6 weeks. Tape extensions are not necessary “cheaper”…they are faster. The quality of the hair is the same, when it comes to Great Lengths. Tape extensions are good for if you are “unsure” about committing, or it is for a special event. We only recommend re-using the hair once, and highly recommend that you have 2 sets of hair to avoid unnecessary waiting at your maintenance appointment for the reconditioning & re-tapping of a set. When you have 2 “sets” of hair, then you are “in and out” of the salon in a more efficient amount of time.